Thus began the career of William “Mickey” Stevenson at legendary Motown Records. 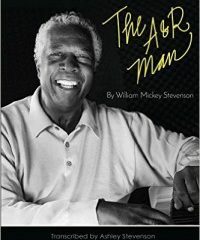 In his recently published self-penned book titled ‘Motown’s First A &R Man Presents The A & R Man,’ Stevenson offers some straight-no-chaser revelations about his Motown experience – shining light on the love, hate and heartbreak embraced and endured by himself and other unsung heroes of Hitsville. 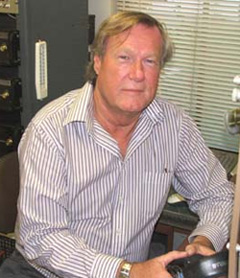 In addition to his A&R duties, Stevenson wrote and produced many hit records for Motown, some with co-writer and producer Ivy Jo Hunter. They included his biggest success, “Dancing in the Street” which he co-wrote with Hunter and Marvin Gaye; “It Takes Two” (with Gaye and Kim Weston [Stevenson’s former wife]); “Ask the Lonely” for the Four Tops; Jimmy Ruffin’s “What Becomes of the Brokenhearted;” “My Baby Loves Me” Martha & The Vandellas; “Can You Jerk Like Me” by The Contours; “Uptight (Everything’s Alright)” for Stevie Wonder and Gaye’s “Stubborn Kind of Fellow.” He also wrote “Devil with the Blue Dress On” in 1964 with Shorty Long, which became a hit for Mitch Ryder and The Detroit Wheels in 1966. Probably more important than all was Stevenson’s success in organizing and establishing Motown’s in-house band now famously known as The Funk Brothers. Stevenson’s new book is a must read about the man who “carried a big stick and knew how to use it.” He tells how Gordy made him the “backbone” of the company – as portrayed in Gordy’s “Motown: The Musical” – and why. The book is 254 pages of the blood, sweat and tears that built and drove the Motown dynasty. Assisted by his daughter Ashley Stevenson, the book publisher is Stevenson International Entertainment.